After being part of the first wave of professional golfers to tee it up in the United Arab Emirates in the late 1980s, former Ryder Cup player Barry Lane is excited to return to the Middle East at the Sharjah Senior Golf Masters presented by Shurooq. The 56-year-old was the only player to participate in the first 25 editions of the Dubai Desert Classic, from 1989 to 2014, and has fond memories of the UAE. Ahead of the first event of the 2017 European Senior Tour season, Lane is one of 57 golfers preparing for the first tournament to be held in the Emirate of Sharjah this week. 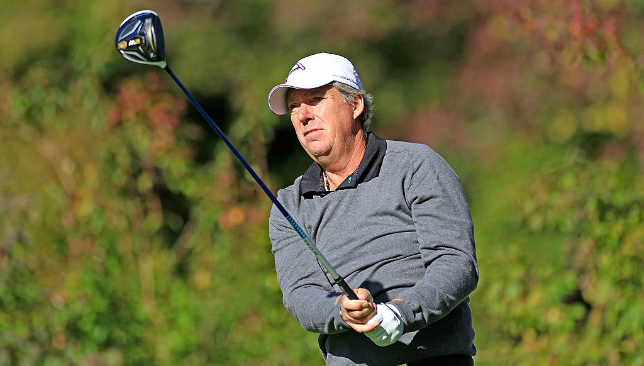 Lane is the most recent winner on the Senior Tour after his success at the 2016 season-ending MCB Tour Championship in Mauritius, where he collected his fifth over-50s title, adding to the five he won on the European Tour. The 57-man field in Sharjah will make history this week at the first European Tour-sanctioned event to be played on a nine-hole golf course. “After all the rain they’ve had in the United Arab Emirates recently, it will be good to be playing in the sunshine again at Sharjah Golf and Shooting Club in this inaugural event” said the reigning European Senior Tour No1, who will be among the star names lining up in the event which is taking place from March 16-18. The tournament also marks the first time a European Senior Tour event will be played on a nine-hole course. Broadhurst had to bide his time to join the Senior ranks following the end of his career on the European Tour, which saw him win six titles. He was even considering giving up the game or going into coaching prior to turning 50 midway through the 2015 season. 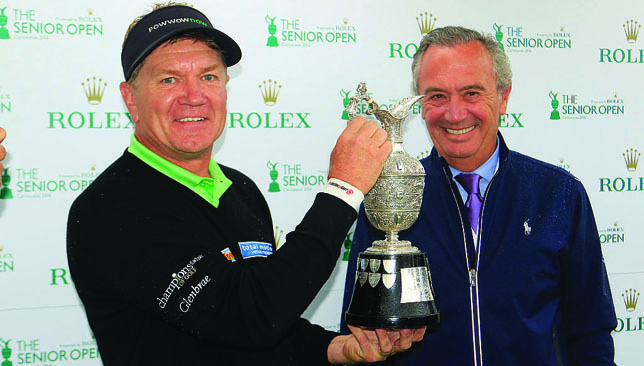 “I had waited almost four years to play on the Senior Tour,” said the 51-year-old Englishman, who won his first Senior major by defeating American Scott McCarron by two shots over the daunting Carnoustie Links on his Senior Open Championship debut last year. Broadhurst then headed off to the USA and another famous links course, at Pebble Beach, where he won the Nature Valley First Tee Open. His stunning victory in the United States earned him the accolade of Rookie of the Year on the PGA Champions Tour, having collected the prestigious John Jacobs Trophy as No1 on the European Senior Tour Order of Merit. “Life changed dramatically for me thanks to that breakthrough win in the Senior Open at Carnoustie,” said Broadhurst, who won both of his matches in The Ryder Cup in 1991 at Kiawah Island. “People ask which was the biggest and best win of my career, and without doubt I have to say the Senior Open. However, it was extremely satisfying to follow that up by beating the Americans in their own ‘backyard’. Broadhurst is hoping to recreate the form that made him a Senior star when he returns for the defence of his Senior Open Championship at Royal Porthcawl Golf Club this summer and he’s delighted to be starting the build up to that in the UAE as the Senior Tour comes to Sharjah for the first time. The Sharjah Senior Golf Masters presented by Shurooq takes place at Sharjah Golf & Shooting Club from March 16-18 and entry is free of charge for all.